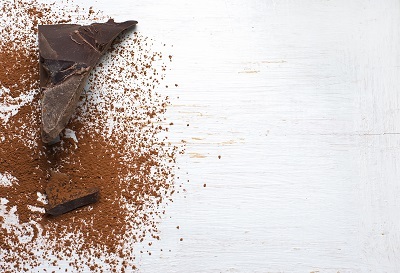 You probably know cocoa as the main ingredient for making chocolate. On the other hand, cocoa butter has very interesting properties, not only for your overall health, but also for your skin! We know that cocoa is rich in polyphenols, belonging to the same antioxidant group as green tea and red wine. In fact, cocoa is 50 times more concentrated in polyphenols than grape seeds, but it is good to underline that it also contains vitamins E and B1 as well as magnesium. What do antioxidants contribute to our skin? They protect it from premature oxidation! Basically, these are our greatest allies against aging skin. Cocoa butter is simply a fat originating from the pressure of the beans in order to make cocoa powder. In the past, the Aztecs already used cocoa for its many health virtues and for their beauty rituals. At that time, cocoa byproducts were strictly reserved for the king and the nobles. They used it to spice up their food and to make a drink to overcome fatigue, thanks to theobromine. At the same time, they used cocoa on their skin for its healing and moisturizing properties. We can therefore conclude that wraps or simply chocolate-based cosmetics can not only soften your skin, but also give you a moment of pure wellbeing! Mix all the ingredients together and place them in a sprinkler-style container. Melt chocolate. Mix all the ingredients together until a homogeneous paste is obtained. Let cool and apply it warm-cold. Leave it on for 5 to 10 minutes, then rinse. Pro Tip: If you have a medium to dark complexion, you may directly use raw cocoa powder as a bronzing powder! Founder and author of the mabeautebio.com blog, she is an expert in natural cosmetics and a professional makeup artist. Mindfulness—What Is It, and What Does It Do for You? I would like to receive the New Roots Herbal Flourish newsletter. Stay up-to-date with our natural health products. Enter your e-mail and subscribe to our newsletter.